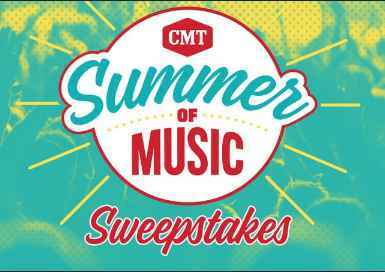 CMT brings you the CMT Bar-S Summer of Music Sweepstakes where one grand prize winner could win a trip for two to the 2019 CMT Music Awards. Trip Includes: One Thousand Dollars ($1000.00) spending money, One (1) year’s supply of Bar-S product and more. During the sweepstakes period visit any qualified Bar-Sretailer or grocer as set out at www.summer.cmt.com to obtain the 8 or 12 digit UPC code from the outside of any Bar-S product. There is no purchase necessary to obtain a UPC Code. UPC Codes are found on the outside of the Bar-S product packages. Once you obtained the UPC Code now go to the sweepstakes page at www.cmt.com/bars-sweeps/2018 and follow the online instructions to register by entering all information requested on the registration form. Who Can Enter: This sweepstakes is open only to legal residents of the fifty (50) United States and the District of Columbia who are eighteen (18) years of age or older at the time they enter the contest. When To Enter: The CMT Bar-S Summer of Music Sweepstakes shall commence on Friday, June 1, 2018 at 12:00:01 a.m. Central Time (“CT”) and the initial sweepstakes period will continue through 11:59:59 p.m. CT on Monday June 18, 2018. Sponsor: Country Music Television, Inc., a Viacom Media Network, a division of Viacom International Inc., 330 Commerce Street, Nashville, TN 37201. Sweepstakes Prize: grand prize winner could win a trip for two to the 2019 CMT Music Awards. Trip Includes: One Thousand Dollars ($1000.00) spending money, One (1) year’s supply of Bar-S product and more. FIRST PRIZE (7): One (1) year’s supply of Bar-S product, One (1) two-hundred dollar ($200) Visa gift card and more. SECOND PRIZE (1,001): The one-thousand one (1,001) randomly selected Second Prize Winners shall receive one (1) prize pack (the “CMT Prize Pack” or “Second Prize(s)”), consisting of: (i) one (1) BBQ Grill; (ii) one (1) BBQ Kit; (iii) one(1) apron; (iv) one (1) pair of sunglasses; (v) one (1) can koozie; (vi) one (1) hot dog toy; (vii) one (1) Bar-S coupon;and (viii) one (1) ten dollar ($10) Visa gift card.